MLAG invited Southern Railway to an open meeting in Rye on November 29 to discuss the problems with the MarshLink service over recent weeks: this was arranged in association with Hastings and Rother Rail Users Alliance (HRRUA being the alliance of rail-user groups along the line which has a regular dialogue with Southern). The evening weather was somewhat stormy, as indeed was the meeting, not improved by a particularly bad day with the MarshLink service, with three of the four trains required to operate the timetable failing and replacement buses brought into action again. Nonetheless, our guest speakers were welcomed to explain the service’s recent performance and prospects for the future. With the reliability of the Rye Shuttle high on everyone’s agenda, Phil Hutchinson, Head of Strategic Planning, provided the raw figures for performance since May this year (when the current timetable started). Up to September, 86% of Shuttles ran: in October it was 98% and November 85% (not taking into account the particular problems experienced on the day of the meeting). As Southern recognised in their heading to the slide: “Any cancellation has a large impact on passengers”. 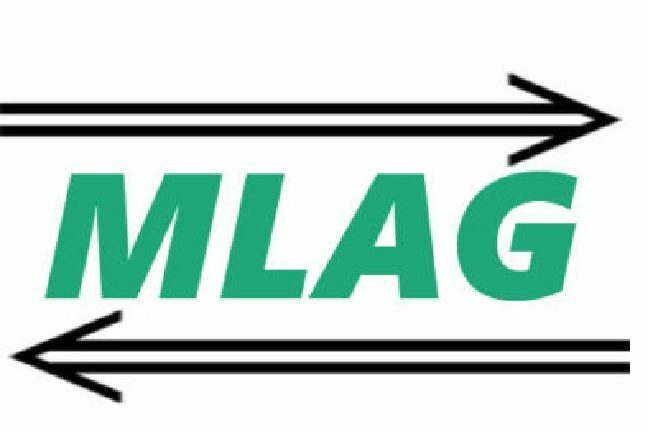 MLAG’s concern is that it also has a significant effect on the degree to which passengers can rely on the Shuttles and, by extension, the viability of the whole service. When a train breaks down it would normally be required to be returned to Selhurst for repair, causing an outage for the rest of the day. Mr Hutchinson explained this is because they have previously been unable to get a replacement unit to the MarshLink (even if a train and operating staff were available) because there is no preordained “path” from Selhurst to the MarshLink to be able to make that movement. However, Southern now believe they are able to make this movement so a unit failure in the morning doesn’t automatically mean the service cannot be resumed in the afternoon (subject to an available train and staff). The miles travelled by the Class 171 units between failures was discussed – Class 171s are the diesel units used for the MarshLink service, but also for the Uckfield line. These figures showed significant variation between units. Similarly, there was an analysis of the systems within the operation of the trains that broke down – that is, whether the cause of a breakdown was, for example, a power pack; heating, ventilation, air conditioning; doors; toilet; etc. It was acknowledged that the trains are at their half-life, hence the need for the significant maintenance overhaul in which all the Class 171 units are now engaged. So a lot of information was presented, more than might reasonably have been expected or, indeed, able to be assimilated – but, nonetheless, appreciated. There was an exposé of the planned mitigation of each of these faults to provide future reliability, hopefully. It was then acknowledged there were some “own goals” mostly related to human factors – crews not being in place and also recovery procedures needing to be implemented. This is something HRRUA and Southern have discussed, together, to ensure signal box control teams have a set procedure to recover from problems encountered, giving a priority to the hourly MarshLink service with tight timing along its whole length. But it has to be acknowledged there are issues outside Southern’s control that impact on the service, in particular Network Rail track problems (for example, extended NR overnight possessions caused by delays in overnight work and signal problems). But regrettably other issues arise creating delays such as trespassers on the line and the sad reality of fatalities, however caused. With regard to timetables, in May, Southern introduced many changes to the MarshLink timetable. One of those changes was an additional evening service in each direction one hour later, something of which passengers have been supportive. An issue that raised concern from an attendee was what if the last train was cancelled, how do passengers get home? Mr Hutchinson was emphatic that Southern would ensure passengers would get home, it being a franchise requirement. There was also a feeling expressed at the meeting that there should be a further, additional eastbound service (so arriving in Rye at the same time as the current latest westbound service) but Mr Hutchinson said that was not currently possible because of operational issues, specifically the need to give possession of the line to Network Rail by a certain time that a later train would infringe. MLAG can confirm this matter was discussed at length before the introduction of the May timetable and it remains on our list of issues. With regard to the operation of the May timetable, Southern acknowledged they have to learn from experience – as they say “to learn, revise, do not repeat”. The railway timetable Southern operates was defined from May as a “right time railway”: that is, they aim to operate within tolerances of a minute. Passengers will be aware that has not been achieved recently with a significant number of services, including the ones on that evening. Following the experience of passengers since May (and the survey that MLAG undertook and reported on at this meeting – see report in a future edition of Rye News) Southern is retiming one of the early morning trains so that the current 06:46 from Rye will now leave at 06:38 arriving Ashford at 07:00 to enable a more favourable connection onto the Javelin service to St Pancras. There will be consequential changes to other services around that time of day so passengers are advised to check the new timetable being introduced on Sunday December 9. Looking towards the future, over the next few months the practical operation of the December timetable will be monitored by Southern and also MLAG. With regard to predominantly tourist issues, Southern will consider the introduction of four-car units on certain weekends. Four-car units have operated for several years on specific days of known high demand such as Rye Bonfire Night, but this may be able to be extended, on an ad hoc basis, to when hot weather is forecast and therefore a high demand from tourists is expected. Looking further into the future, there may be extra services throughout summer weekends. Southern say they listen to their stakeholders (including MLAG and HRRUA, something MLAG can confirm). But that does not mean that the specific issues of every passenger can be accommodated. One significant issue with the May timetable was the termination of the service at Eastbourne rather than Brighton. For those looking to travel to the west of Eastbourne it is hoped the connection at Hampden Park will be able to be improved. Another issue, taking place in February next year that has raised questions locally as, possibly, having an impact on the MarshLink service is what has become known as the Brighton Main Line (BML) blockade. Mr Hutchinson explained this relates to extensive Network Rail work being carried out between two very busy sections of line into Three Bridges, from Lewes and Brighton: the works in February will be over nine consecutive days but the line has been blockaded over shorter periods over the past few months without any discernible impact on the MarshLink and this is expected to be the case in February. – the role of Transport for the South East in bringing about the Javelin project. One positive comment and one negative one. For daytime users heading for St Pancras, as we do for consultant visits to UCL, the changeover at Ashford is much improved. Negatively:- Now the one time ‘fast’ train to Brighton, is slow, stopping everywhere and terminating at Eastbourne, Hampden Park has become a major connection station. A trip to Lewes last week was made miserable when, at the last moment, I realised we had a few minutes to change platforms over a narrow footbridge at Hampden Park rather than a level transfer at Eastbourne. Obviously disabled passengers couldn’t make the connection, nor could elderly people with heavy luggage. By 4 o’clock the station waiting room was closed resulting in a freezing wait. If this station is to be permanently upgraded, the least it requires is a lift and heated waiting room and toilets.